Support. 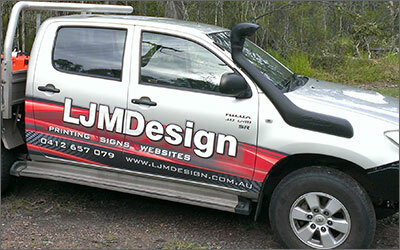 LJMDesign Provides Quality Printing, Signs and Websites. Cairns and Townsville North Queensland. If you need help with any service or product that LJMDesign has completed, please email us or use the support form. and we will endeavour to solve your problem at our earliest convienience. PLEASE NOTE: Before paying by credit card, please make sure this has been confirmed with LJMDesign, as some credit card fees apply. Instructions: Please click on the link below - this will take you to the paypal payment gateway. Please note you do not have to be a member of paypal to make payments, simply follow their instructions to pay with your credit card.